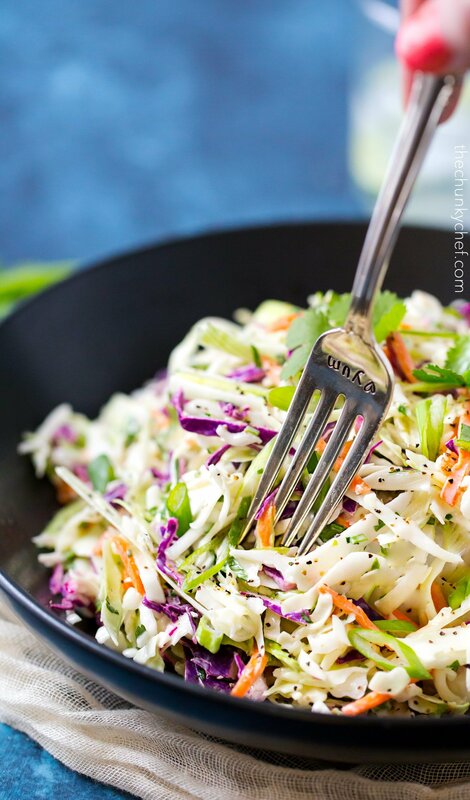 Who loves a great coleslaw? 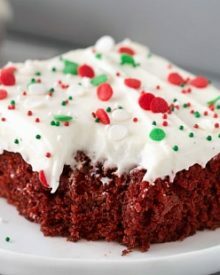 Instead of the traditional sweet and tangy, this recipe has great depth of flavor, with the awesome zip from the lime. 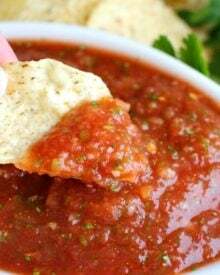 It’s great on it’s own, or piled on top of a great burger, some tacos, grilled flank steak or barbecue! It’s that time of year again, when the weather warms up, grass needs cutting, flowers bloom, and family and friends start getting together for a cookout. Maybe some burgers on the grill (really “wow” your friends with this fun burger), plenty of cold drinks, and you can’t forget the mouthwatering side dishes! I have a hard time picking my favorite cookout side dish. 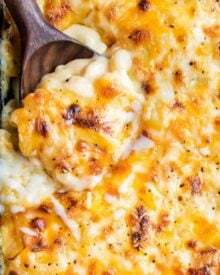 Macaroni salad is probably my all-time favorite (try this jalapeño popper version), but coming in at a verrrrrrry close second, is coleslaw. Other than cookouts, I also order coleslaw all the time at restaurants! Most of the time, coleslaws all taste very similar… sweet and tangy right? And believe me, I love that kind too… but sometimes I crave something different… something unique! 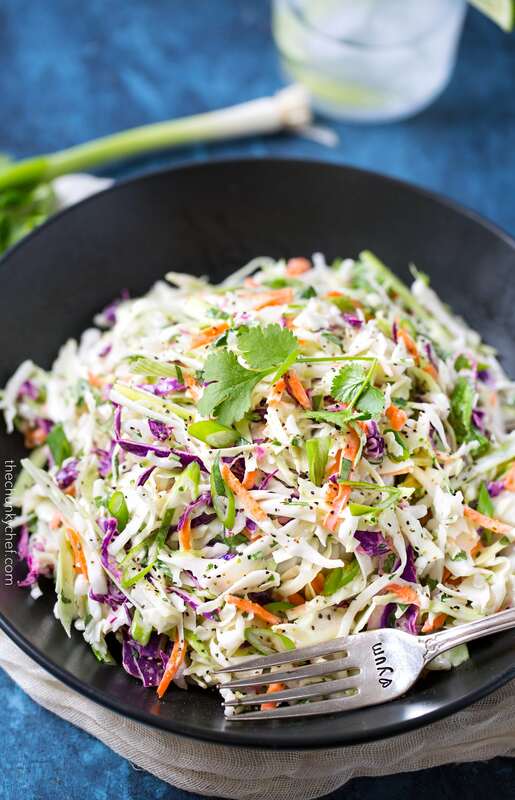 Enter, the tequila lime coleslaw!! 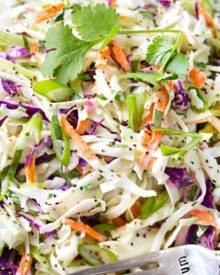 If you’re worried about the tequila being overpowering or just tasting like alcohol… fear not, it’s just enough to give the slaw a unique depth, not enough for you to say, “wow that definitely has tequila in it!”. Obviously this coleslaw is awesome all by itself, but it’s phenomenal on top of burgers, tacos, grilled steak, the sky is the limit! I have some barbecue chicken tacos in the works, and I honestly can’t wait to top them with this coleslaw!! 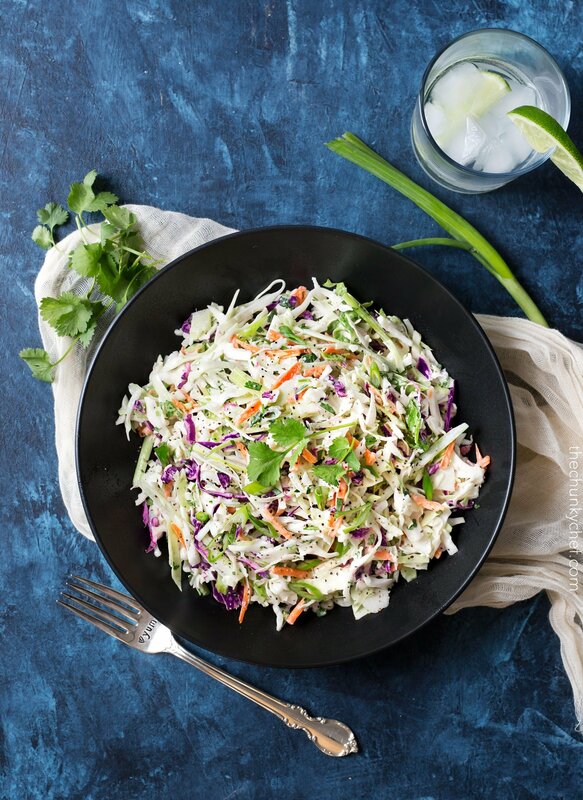 So the next time you’re thinking about what to serve as a side at your next barbecue or cookout… definitely consider this Tequila Lime Coleslaw with Cilantro!! 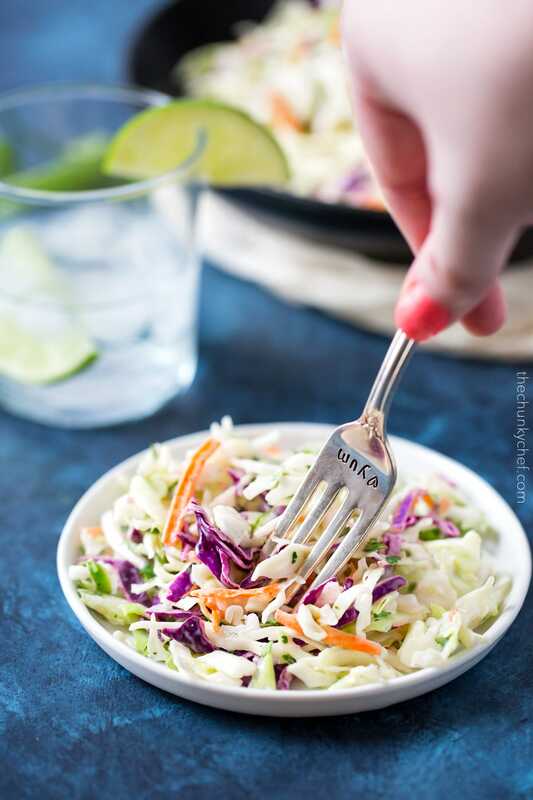 Regular coleslaw gets a new spin with this tequila lime version! The tequila gives it an unique depth, and it's sure to be a hit at your next party! Add green onions, coleslaw mix and red cabbage and toss to combine. 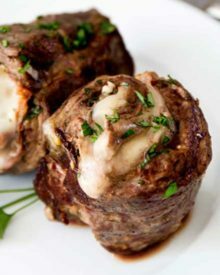 Cover and refrigerate for at least an hour, to allow flavors to fully combine. Added 2 thinly sliced Serrano peppers, nice kick! This was a big hit, brought to a friends house who was having taco night! 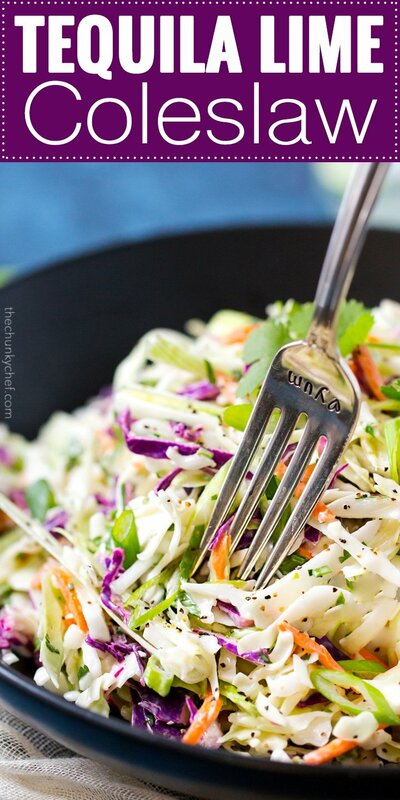 Would definitely be a fabulous use for this coleslaw, and thank you for what you’re doing… I’m sure they’ll greatly appreciate it! How big is the serving size? I’ve never measured it precisely. It’s just 1/8th of the entire recipe. 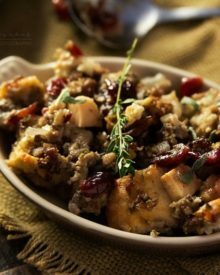 I love this recipe and plan on making it thi weekend. I do have one concern. What are all the black specks in the salad?? Far too many to be a pinch of black pepper. I have to say, my Dad and my son are both a little off when it comes to the idea of coleslaw in any form, but with this one, I was able to win them over and open up their stomachs to other possibilities in the future. Truly refreshing and a delight. I called it a margarita coleslaw. Even more appetizing. Truly recommend it and will share it as well. Just threw this together real quick. Doubled the recipe. It’s amazing! The flavor is so friggin good! I used gold tequila, liquor store didn’t have mini bottles of silver. It didn’t make any difference (at least to me, my 1st time making it). Will definitely bring this for 4th of July!! Tequila?? You are speaking my language! Talk about jazzing up a coleslaw! Love this! You had me at tequila. 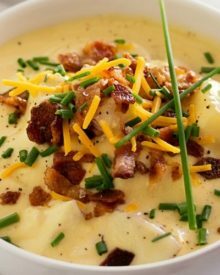 Seriously, I have to try this recipe and keep it all to myself! Tequila in my coleslaw? Yes please. 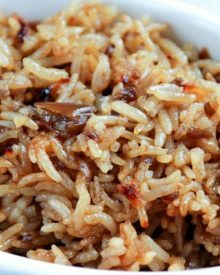 This looks so good- perfect for summer picnics! Love the twist of flavors!! Definitely will be trying this for our upcoming BBQs! I am totally ready to give this a spin. Mmmmm, the perfect summer side dish! What a BRILLIANT coleslaw! I’ve never considered throwing booze into mine before, but now, I feel like the possibilities are endless. 😉 Also, YUM.